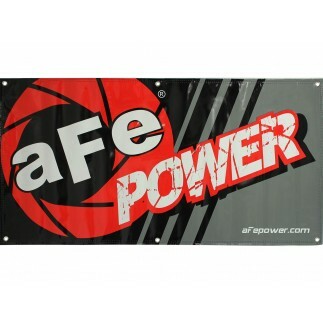 Show your aFe Power support with one of our NEW 12 ft. yard banner. 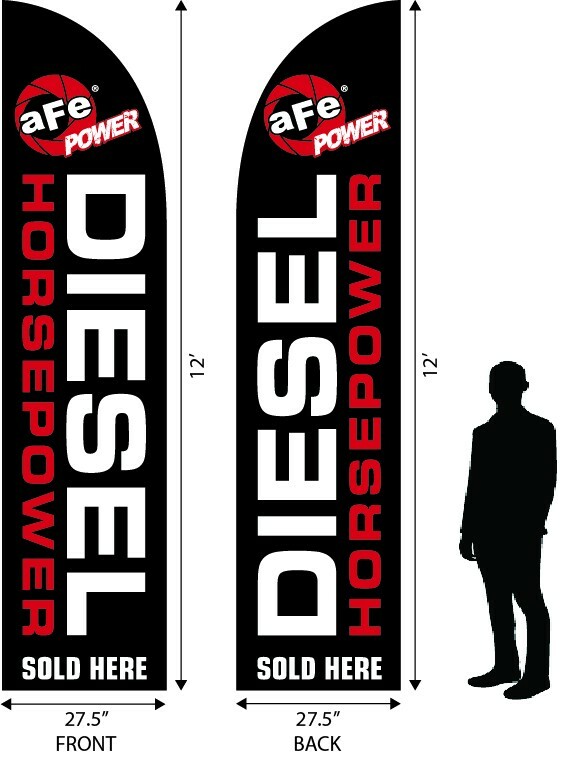 This stylish banner is a perfect addition to the front ofany Diesel Accessory Shop. 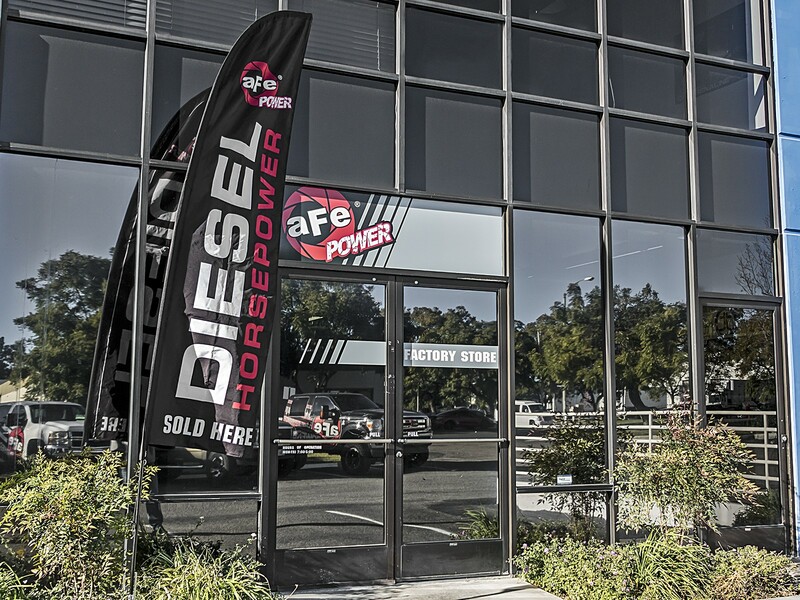 This custom 12ft x 2.5ft banner lets everyone know where to go for their aFe performance products. 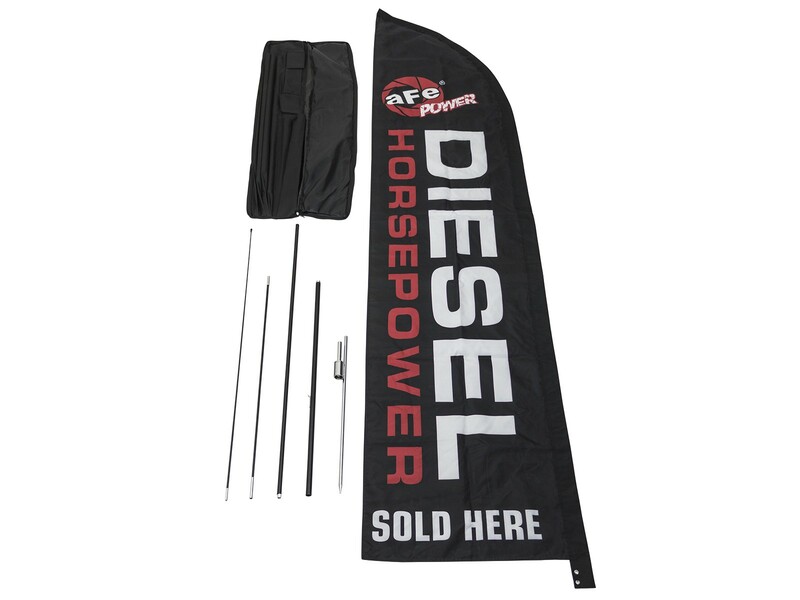 This banner comes in a nice black canvas bag for protection during transportation, and includes all necessary hardware to install. The banner reads "DIESEL Horsepower Sold Here.